School's almost out for summer vacation! It’s easy to be excited about a more relaxed schedule for a couple of months. But without having anything to do, kids can quickly start feeling bored. Encourage your kid to pick up a new hobby. Or try exploring activities to do around the Fort Worth area. Take a look at the list of options below. 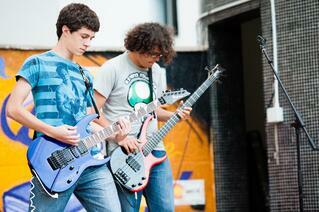 The Summer Rock Camps are designed for kids ages 7-17. Your child doesn’t need musical experience of any kind to join - our main priority is having fun! Plus, we will do our best to teach them the basics as we go. Kids will get the opportunity to interact and learn from one another - and even collaborate on writing their own song! These camps are for our littlest rockers, ages 3-7! We want to help your kid have a blast this summer by learning music basics and participating in all sorts of fun activities. Click here to view the Creative Soul event calendar. At Fossil Rim, you don’t even have to leave your car! Stay put and have the animals come to you. You can hand-feed (and maybe even take a selfie with) some exotic creatures like emus and giraffes! 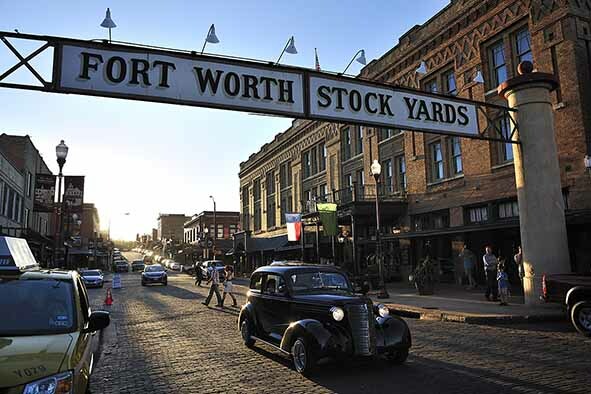 There are a ton of things to do at the Fort Worth Stockyard station! Whether you’re going all day or for only for a couple of hours, you can eat delicious food or go to some super fun stores, events and attractions. If your kids love legos, they will rave about the Legoland Discovery Center in Grapevine Mills Mall. Purchase your tickets in advance to enjoy the attractions and rides with your little ones! Do you have a bookworm in the family? If so, spend some time at the library this summer to find new books - or revisit old ones! Take a look at this map to find a library near you. 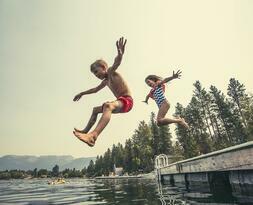 What kid doesn’t want to spend a day hanging out at a lake? Burger’s lake is a safe and fun place for the whole family! You can swim or just sit on the shore and enjoy the outdoors. Bring your own food to cook on their charcoal grills! Some kids love the thought of planes and flying. If your child does, check out the Fort Worth Aviation Museum! Your kids can look at planes up-close and learn a little bit of history while they’re at it! Check out special events they hold at the museum, here. Come explore the aquarium! Visit the different exhibits to see animals up-close, like sharks, flamingos and other wildlife! Kids will love getting to see and interact with the animals. You can also use the time to teach them, using the guides provided during a visit. What better way to spend a summer evening in Texas than going to see a Ranger’s game? Spend the night eating peanuts and cracker jacks, and cheering on the Rangers with your family. Take a look at their schedule of games, here. Summer is upon us! We’re so excited for our summer camps coming up and cannot wait to interact and have fun with your children. We also hope you have a great time planning your summer!